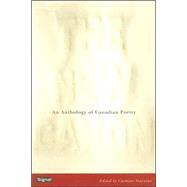 Collecting the works of 50 modern Canadian poets, this anthology of verse points to an emerging openness toward form in the nation's poetry. The book includes nearly 200 poems from more than 20 presses and an essay that describes and explains the innovations of form that distinguish the featured writers. Carmine Starnino is a poet, essayist, and critic, as well as the author of A Lover's Quarrel and With English Subtitles. He lives in Montreal, QuTbec. Carrying Someone Else's Infant Past a Cow in a Field near Marmora, Ont.